It says it all. I recently got to see them live in Ann Arbor a few weeks ago and it has become my favorite concert that I have been to, ever. They use reverb like it’s going out of fashion and more people sing in the band than CSNY, well they’re tied. Anyway they have a very unique sound and I am very excited to see where they will be going in the future. I highly recommend them, and I would start with songs like “Two Weeks” and “Knife.” If you like, then try some deeper cuts like “Little Brother” (Yellow House or Friend EP are both wonderful) and “Colorado.” I don’t care how you listen to them, just do it! I think I have found my weakness as of late. Pop music. Granted the “pop” music is not as popular as Billboard top 100 but I do feel that much of it is based on those lyrics and hooks that pop music was born with. Anyway the song that I has been stuck in my head is no exception. Santigold’s Lights Out is catchy and I dare you to listen to it just once. I’ll be honest, I am not the biggest fan of Santigold, I dismissed her as a record label’s attempt to jump on the M.I.A. bandwagon of woman singers who dress crazy. A few of her other songs I just can’t get into. However this song is very good. Anyway check out the song, its crazy good, almost as crazy as the video. So my lack of dedication to this blog has been quite substantial however I would like to make up for it by returning with some new songs and albums to show off. I’ll be taking the plunge with a song that I have been enamored with for the past few days. 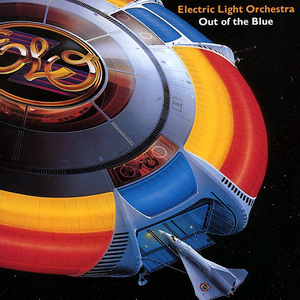 ELO’s (Electronic Light Orchestra) Sweet Talkin’ Woman is one of my favorite more poppy songs by the Group. If you have never heard of Jeff Lynne (singer, guitarist and chief song writer) now is your chance. All of your favorite ELO tunes, you have them even if you don’t know you do, were written by Lynne. Tangent: Lynne was also in an 80’s supergroup called The Traveling Wilburys which included some good company being that Bob Dylan, Tom Petty, George Harrison and Roy Orbison were all making sweet music babies together but I digress. Sweet Talkin’ Woman came on to my FM the other day and it inspired me to buy ELO’s Greatest Hits; I know a greatest hits, how daring. But nevertheless after one listen I needed that song at my fingertips. Coming off of the 1977 Out of the Blue among many other singles off of the album. The song itself uses effects on vocals better than Cher or Kanye ever did and like all ELO songs the string section adds so much. But what really gets me each time I listen to the song is the chord progression. Well, don’t take my word for it here is a live version with all of ELO’s hair glory. First of all, I would just like to ask: why hadn’t I heard of this woman until now?! Apparently her 2007 debut “Marry Me” generated a lot of hype; however, clearly not enough. I obtained that album in order to hear it in its entirety before listening through her impending release: “Actor.” The most arresting thing throughout the album by far is Annie Clark’s voice. I have a feeling she could sing “Over the Rainbow” and put Judy Garland to shame. At times I began thinking I was listening to one of the incredible singers of the 50s like Ella Fitzgerald, but before I could slip completely into that notion I’d be bowled over by a discordant guitar and/or a sporadic drum break. Annie Clark’s arrangements are hard to describe mostly because of their strangeness. The oddity of her writing is somewhat inherent, as she combines guitar, strings, various percussion, brass, piano, and the list goes on. Upon investigation, I found that Clark was a guitarist for Polyphonic Spree, and then in Sufjan Stevens’ touring band. This is some serious indie cred, but then she played drums, bass, and guitar on “Marry Me,” proving she is a skilled multi-instrumentalist to boot. Her upcoming record “Actor” has been posted on NPR Music as separate tracks, and all of them are there and free to listeners. Most of the instruments heard on “Actor” are still played by Clark, but her collaborators include musicians who have played for Sufjan Stevens, Bjork, and Phillip Glass, while her producer has done work for Modest Mouse and Polyphonic Spree. The only real drawback I see for listeners of “Actor” is that it may be too much for some people to take in at first. If you have that feeling, then I urge you to listen through the whole album before you make any final judgments. Any suspended criticism will pay off, and you’ll realize what a gem it is. I, like many viewers watching Saturday Night Live on April 4th, was unaware of a French rock group by the name of Phoenix. Apparently these dudes have been playing music for over a decade and most of it is very listenable, much of it being categorized as alternative, electronic and dance. Anyway, that fateful Saturday night has now given me a song that has been stuck in my head for a few days now. “1901″ is the hit single off Phoenix’s latest effort, “Wolfgang Amadeus Phoenix,” which will be hitting stores in the colonies May 26. The song is upbeat, toe-tappin’ and overall very lighthearted, which is a mood that I am always on the hunt to find new songs to satisfy. If you are in an economically stimulating mind frame, then head on over iTunes where there is a four song EP for sale which also includes “Lisztomania,” the second song Phoenix played on Saturday Night Live, which is also very good. If not, here is the video of the performance, or the album version.